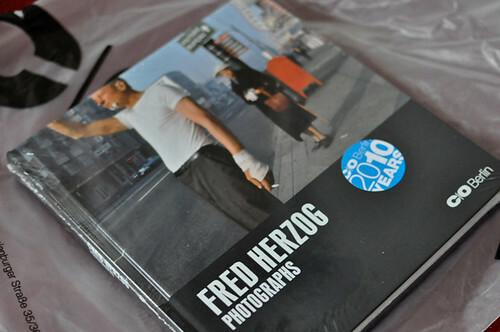 Earlier this month our globetrotting friend Henry brought me a Fred Herzog book from C/O Berlin. 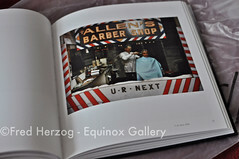 Herzog is known for his stunning colour photographs of everyday urban life. At a time when colour photography was looked down upon as an art form or creative medium, Herzog managed to capture our city like no other. 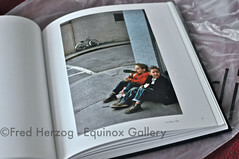 C/O Berlin presents the first German exhibition of 80 photographs by Fred Herzog. A catalog accompanying the exhibition is published by Hatje Canz. 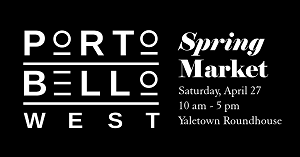 Prior to Herzog, my other favourite Vancouver photographers are Stuart Thomson and Leonard Frank. More than half of my favourite photos in the Vancouver Archives collection (from about the 1900s to 1940s) are attributed to those two. 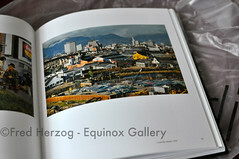 If you would like to check out more of Herzog’s work, there will be an exhibit at the Equinox Gallery February 9 until March 5, 2011. From what I understand, the gallery has most of Herzog’s collection and exhibits (with different themes) are not uncommon. 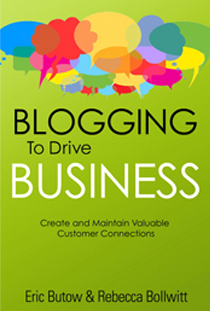 You can also purchase the book that I now own on Amazon or at Chapters.